Mound City Community HS "Tigers"
Mound City (population 692) is located in very far southern Illinois about five miles north of Cairo. It is the County Seat of Pulaski County. Mound City sits on the banks of the Ohio River a short distance from its merger with the Mississippi River. Two Railroad lines, the Illinois Central Gulf and the Conrail, run tracks through Mound City. Illinois Route 37 is the main roadway leading to town which sits about 1 mile east of Interstate Highway 57. Some great reading on the history of the town can be found at http://www.multied.com/Navy/CWNavy/moundcity.html which talks about the naval ship, the USS Mound CIty, which fought in the Civil War, and http://www.illinoishistory.com/moundcitymassacre.html which talks of the murder of settlers by renegade Indians in the early 1800s. "The first class to graduate from Mound City High School (MCHS), Mound City, Illinois, was the Class of 1888. 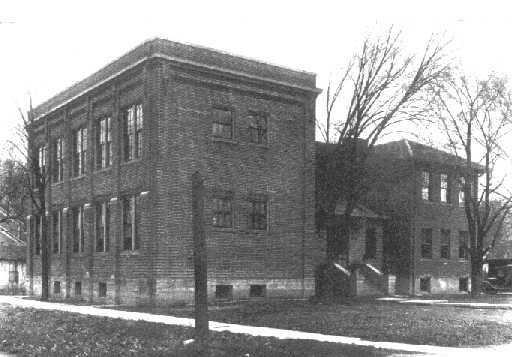 The Class of 1921 was the first class to graduate from Mound City Community High School (MCCHS). Mound City Community High School and Lovejoy consolidated in 1962 and the Class of 1963 was the last class to graduate from MCCHS although the new Meridian Class of 1965 continued to attend school in the old MCCHS school building, which was built in 1919, and located in Mound City on the north corner of High Street and Merritt Street with the entrance facing Merritt Street. Anyone who has an interest in the old high school is invited to visit this site and subscribe to our mailing list. Eventually, we started a photo site and currently have nearly 1,000 old photos related to the old school or to the area it covered. I'm attaching a couple of photographs from this site at: MCCHS Photo Site: http://www.PictureTrail.com/mcchs "
The high school for the new district, and eventually all schools for the new district, were located in Mounds. 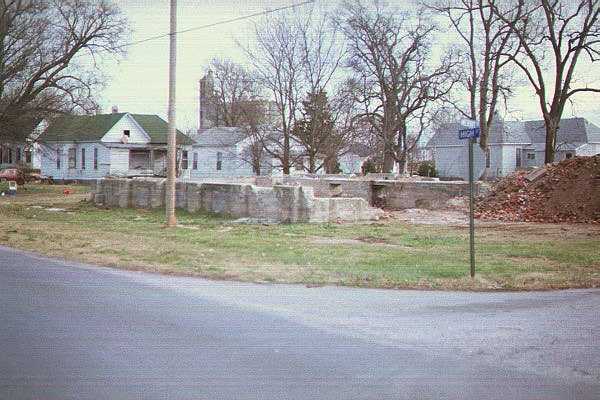 The original Mound City High School building was razed however the MCCHS gymnasium is still standing..
MCCHS Team nickname: the "Tigers"
Boys sports of baseball and basketball were definitely offered. Track was probably also on the sports agenda for Mound City. Team colors, school fight song, records of the teams listed below as well as coach's names are being sought. If you have any of this information you would like to share please write to us via e-mail. The Mound City Tigers boys baseball team had one real nice run in the IHSA State Tourney (www.ihsa.org). The boys of the 1962-63 school year won the Regional and Sectional titles, making an Elite 8 appearance before falling to a much larger school. Team record and coach's name of this and other great Tiger teams are not available. The Mound City High School boys won a total of EIGHT Dstrict titles and TWO Regional titles. The titles were won in four different decades showing a great consistency over the team's existence. Coach Jim Byassee, coached Mound City High from 1957to 1964 when they merged into Meridian High. Coach Byassee is number 14 on the all time most wins in the state. (635). That record is from 1957-86. Coach Byassee became the newly formed Meridan High School head coach when the schools merged in 1964. He remained at the helm until 1986. Congratulations on a great career Coach Byassee! "Jim Byassee started at Mound City that year after playing at Paducah Junior College and Union University. There were two tall players on that team in David Evers who was 6'4" and Wayne Stevers who was 6'7".